In what is now an evenly poised semi-final, Albert Roca's Bengaluru FC will be looking to capitalise on their home advantage to book a place in the final of their very first ISL campaign. Both coaches expressed their disappointment over the 0-0 draw in the first leg of the tie. But one would be forgiven to think that Roca would be the happier of the two after that game. 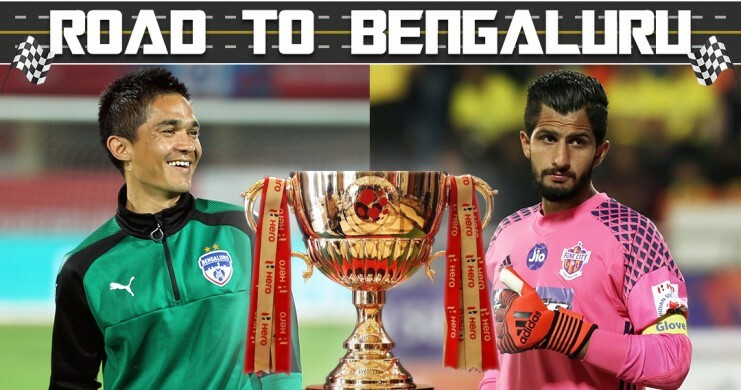 An added incentive for the Blues would be the fact that the final would be played at Bengaluru, giving this game a whole new twist. 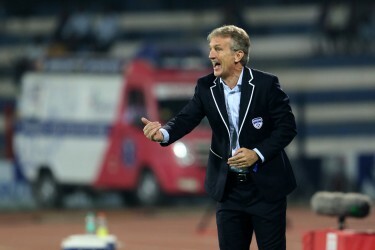 For Roca, it would be a chance to right the wrongs of a dismal debut I-League campaign with the Blues. He is one game away from contesting in the final of the club's very first ISL campaign, one in which he has overseen his team's dominance both on and off the pitch. A final in front of the Steelmen's home crowd would be the perfect icing for the cake. For Popovic, it would be a test of his motivational and tactical nous as he knows that his side has the capability to hold off the much-vaunted Blues attack if he gets a vital away goal. However, he will first have to deal with the problem of his absence on the touchline as he has been handed a suspension following his alleged breach of discipline during the first leg of the semi-final encounter at the Balewadi. For both teams, it would be crucial that they score first and take charge of the tie. Roca went with his first choice 11 in the first leg. However given that the Blues face Abahani Dhaka in an AFC Cup group stage tie on Wednesday, he might reshuffle the pack. Erik Paartalu might replace Toni Dovale who did not have a good first leg. The backline is expected to remain the same as they successfully held of Pune's frontline well. Popovic is expected to retain the same starting 11 as the first leg. Adil Khan who is on a yellow card will no doubt be on his guard as he would have to face the trickery of Chhetri. 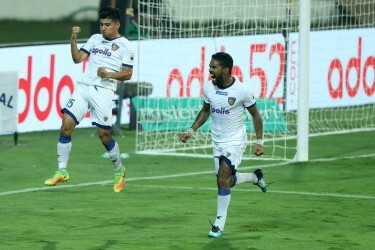 The two teams have shared the spoils on both occasions prior to this in the ISL. Lenny Rodrigues-Bengaluru FC: The Goa midfielder have found a new lease of life in the latter half of the ISL and is going to be crucial for Roca's system to transition from a four-man backline to a defensive trio. His passing range and reading of the game will be vital for the Blues' chances of making the final. Marcelinho- FC Pune City: Normally so assured in front of goal, the Brazilian will wish for a second chance to make amends to the chances he spurned in the first leg. He would no doubt get his best shooting boots on during the second leg tomorrow and Pune will hope that he finds the back of the net. Super Cup: Is this really the need of the hour? Debate: The I-League or the ISL- Which is the better of India's two top leagues? Bengaluru FC: Gurpreet, Bheke, Johnson, Juanan, Bose, Lenny, Paartalu, Chhetri, Dimas, Udanta, Miku. Bengaluru FC top the charts with the most number of clean sheets (8) while Pune City FC are second (7). Miku is the second top scorer in the ISL after FC Goa's Ferran Corominas with 14 goals. Both of Bengaluru’s draws this season have come against Pune. The match will be broadcast live on Star Sports 2 and Stars Sports 2 HD 8 pm onwards. It will be also available for live streaming on Hotstar and Jio TV. your own Khel Now Page? © 2019 Agnificent Platform Technologies Pte. Ltd. All rights reserved. Recommended. And we will never post anything without your permission. We noticed you are using an Ad Blocker, please consider whitelisting us - we cannot operate without adverts. Thankyou!